Should The Oilers Fire McLellan? A dream season for the Edmonton Oilers has officially turned into a nightmare. They have lost six out of their last seven games and been outscored 16 to 3. Confidence is low and the team looks completely lost on the ice. What has caused this dramatic dip in form? 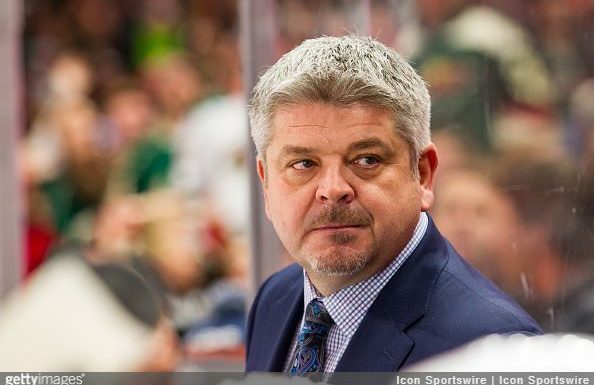 All fingers point towards one man: head coach Todd McLellan. Many feel time is running out for this man, but does he really deserve the chop? Pre-season the Oilers were hot favorites for the cup. Captain Marvel Connor McDavid had been majestic the season before. McLellan seemed to have a winning team together and fans at Rogers Place were brimming with excitement. Their record of 18-22-3 is troubling, to say the least. Last season this team was dominant in the Pacific and it seemed like the day of reckoning had finally come. So what precisely caused the problem? Well firstly, the team was extremely unproductive in the off-season. Acquiring then trading Jussi Jokinen for age-old Mike Cammalleri was about as exciting as it got. McLellan and GM Peter Chiarelli seemed content to fall back on what they had. This season has badly exposed the lack of depth that Edmonton really has. Trading Jordan Eberle to the Islanders for Ryan Strome has backfired spectacularly. Especially since Eberle has become a key figure in Brooklyn. Does this team perhaps overly rely on McDavid? Well, who else can they place their faith in? Guys like Mark Letestu, Patrick Maroon, Adam Larsson and Oscar Klefbom have been underwhelming. Leon Draisaitl was given a monster $68 million contract this summer- his 22 points are hardly justifying the price tag. McDavid’s 39 points are the only highlight of an increasingly miserable season. Is it fair to pain the team’s bad form solely on McLellan? Well, there’s no doubting his leadership isn’t working this season. Last season, he had one of the most feared attacking units in the Western Conference. This year, it feels like open-season on Cam Talbot in net and no-one is stopping the rot setting in. Fans are calling for this head, but does T.M. really justify getting the sack? In my humble opinion; he does not! Edmonton has gone through six head coaches in recent years and the team has suffered as a result. What change will sacking McLellan bring? He’s a proven quality behind the bench and it was shown last season that given a good side, he could bring results. Chiarelli seems more deserving of blame this year. During the off-season, he did little to build or strength this team and seemed to expect a repeat performance. According to Sportsnet, Chiarelli has ‘no intention’ of firing him. He was quoted as saying “We’ve had our challenges from a coaching perspective, and we’ve had our challenges from a player personnel perspective. We went into the season with certain expectations, and we’re not even close to them.” Though going by Edmonton’s coaching turnover, this guarantee may not be absolute. McLellan and the Oilers are already out of contention for postseason glory. All they can do now is hope to finish strongly. Honestly, I hope that he keeps his job because if Edmonton can find a team that works, he could make the the difference.